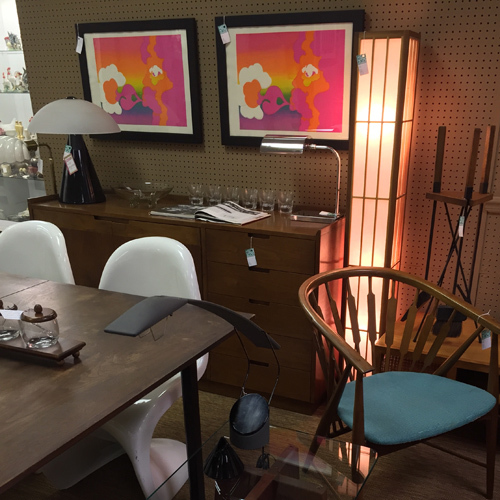 I love to display and sell midcentury, and modern-design furnishings such as furniture, visual art, lighting, and decorative accessories. When I find a new piece, I envision it as part of an ensemble that will make a beautiful room. I hope my vision of the merchandise– and its place in a beautiful home–connects with my clients’ retro tastes and the living spaces they want to create. This is what I love about what I do–connecting people with the lovely objects that will become part of their lives.